|manymanythings for ExpostFacto| 2015, the year when we were on an experimental mode and Piyush Raghani (Director and Founder of the production house ‘Like Minded People‘- from our first collaboration) wanted another space – not another office but an Edit Studio for colour grading and offline editing of films and other broadcasted media. A studio space – “yeahhhh!” was our first reaction, but with all its thrill came many challenges and technicalities. Of the many, one confrontation was to be with the acoustics of the place, to cut down sound travel from one room to the other and doing so without bulky construction. The other, how-do-you-do was keeping the already small space dark and killing any external source of light for the very purpose of a studio room is to disengage. Now, we love windows and all sunlight but sometimes you-have-to-do-what-you-have-to-do and so we were to turn everything to our advantage rather brood about it! "The hand of a craftsman engaged in his craft is always pure." In this case its the inspiring work of the craftswomen and artisans engaged with Okhai, that results in the creation of handicraft products that have nothing but pure and good intentions behind it! Thanks to my girl @kometjuice, along with whom I spent the past one month working at a grass root level of one of the most ethical NGO’s I know of. I have never before been to a place that felt so serene and holds such positivity that it radiates good vibes 24×7! A place where peacocks are as common as stray dogs and cows greet you at every corner. Where cycling is second nature and the milky-way seems just at an arms reach. Mithapur has the look of an oasis in a desolate landscape with TATA Chemical Plants as its skyline. So….. what is this NGO I am speaking of and how has it swept me off my feet? I keep asking my workers, crafters, artists, this one question and often its just a greeting………. “Khush ho?” (Are you happy???) …….. the man/ woman smiles…….. surprised and shy most of the time, happy by the gesture itself sometimes and at other times back with a story in his/her life – the stories are the best! These guys have much to share and those smiles – content – rather contagious and one of the reasons that I just love to chat up with them creators, the men/women who truly believe in their contributions to whatever big or little they do – they are happy and more than that – proud, something that I always have to remind myself off, strangely! Ever thought about this – the people and businesses that a creative supports also supports them. It needs to co-exist like a demand and supply chart, its use needs to progress and develop not only in availability but in education and awareness as well and only then can an art form and its representative artistry stay alive. I feel elated that the digital world could never take away from this 2000 year old form of printing – Screen Printing. For any history student – like me, the first connection you will probably make when you come across shelves of unglazed earthenware and hand sculpted art pieces are the chapters on the Indus Valley and Harappan civilisations! 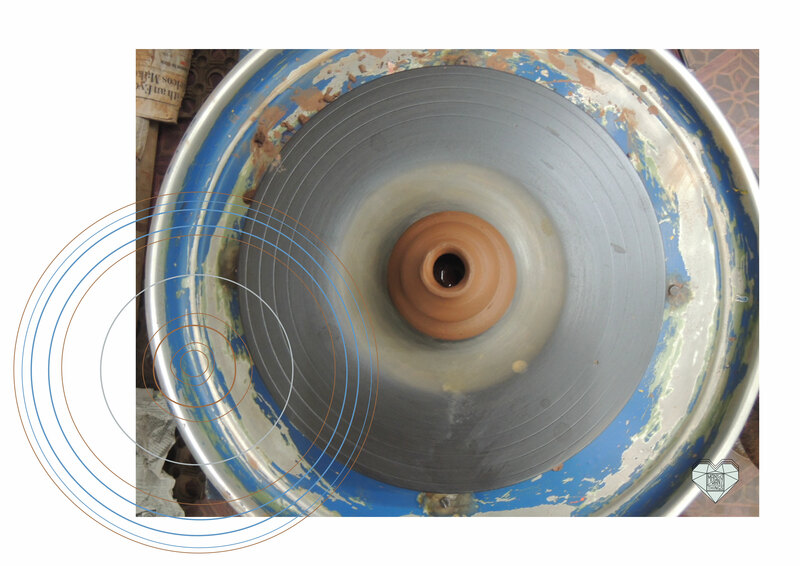 and then start to think about how ancient the traditional craft of pottery is… what its roots are? how has it evolved over the years? why we don’t come across enough people who practice/teach it?….and how it is the most underrated art form!! #DidYouKnow taking up pottery has numerous benefits? Other than being a wonderful creative outlet there are dozens of physical and mental advantages from expressing oneself by creating something that requires full concentration and focus on the activity itself. It helps with the sensory development and motor skills for the young and is beneficial to those prone to arthritis in the hands as it promotes joint movement and dexterity. Pottery also works as a super de-stress agent and is often described as being therapeutic and relaxing……. “Has this shop always been here? !” I mumbled while trying to recall as I walked into the small, quaint store. 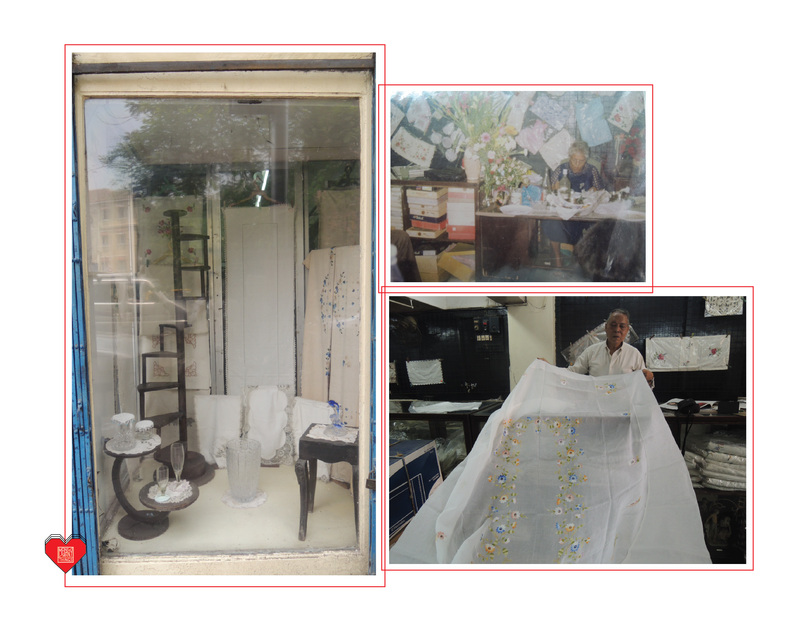 Looking at all the exquisite linen products, i felt like i was stepping into my grandmother’s cherished linen closet, not a store at Colaba causeway. I have spent a large chunk of my college days roaming around causeway making it my second home and having wonderful memories with friends, food and shopping at every corner! So imagine my surprise when I was recommended this store by colleagues (while working on a film) who are not even originally from this city… it is one of the things I value most about what we do, sourcing these fine old gems everywhere we go. 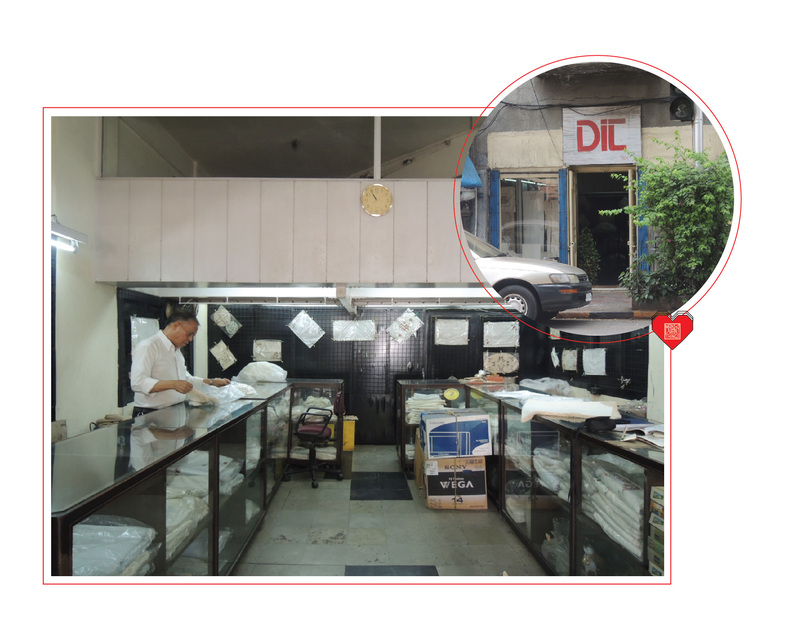 DIT was established in 1942 by Mrs. Josephine Mendes who began her career as a seamstress at the store and managed it all the way through her 90’s! why call it DIT? “Well it was mom’s pet name ” explains her son Frank who now runs things here. He was a commercial pilot back in the day and swooped in to help Mrs Mendes at the shop when things at home started to go south. Mr.Frank loves reminiscing about the old days.. talking about everything from his friends and family, to his travels around the world and how fabulously his mother used to dress up the store windows.